Bram Tchaikovsky (born Peter Bramall, 10 November 1950, Lincolnshire, England) is a British vocalist and guitarist. He first came to prominence as a member of UK punk/pub rock band, The Motors, whom he joined in 1977. After he left them, he led an eponymous power pop band, with Micky Broadbent (bass, keyboards) and Keith Boyce (drums). The group scored a US Top 40 hit single on the Billboard Hot 100 in 1979, with “Girl of My Dreams”. 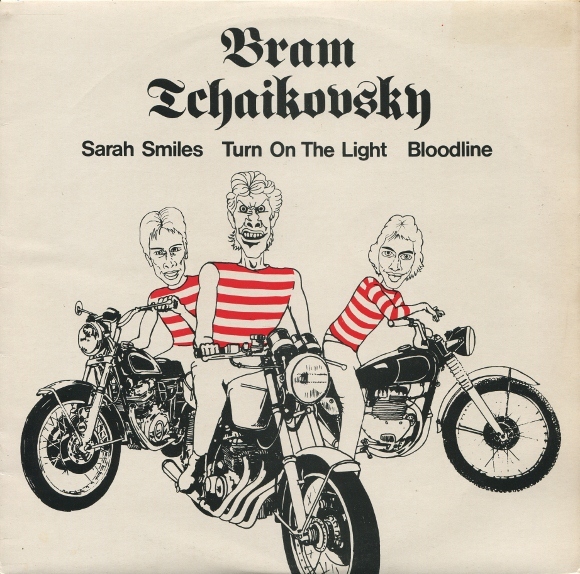 In the Netherlands, “Sarah Smiles” was a minor hit, reaching number 32 in April 1979.